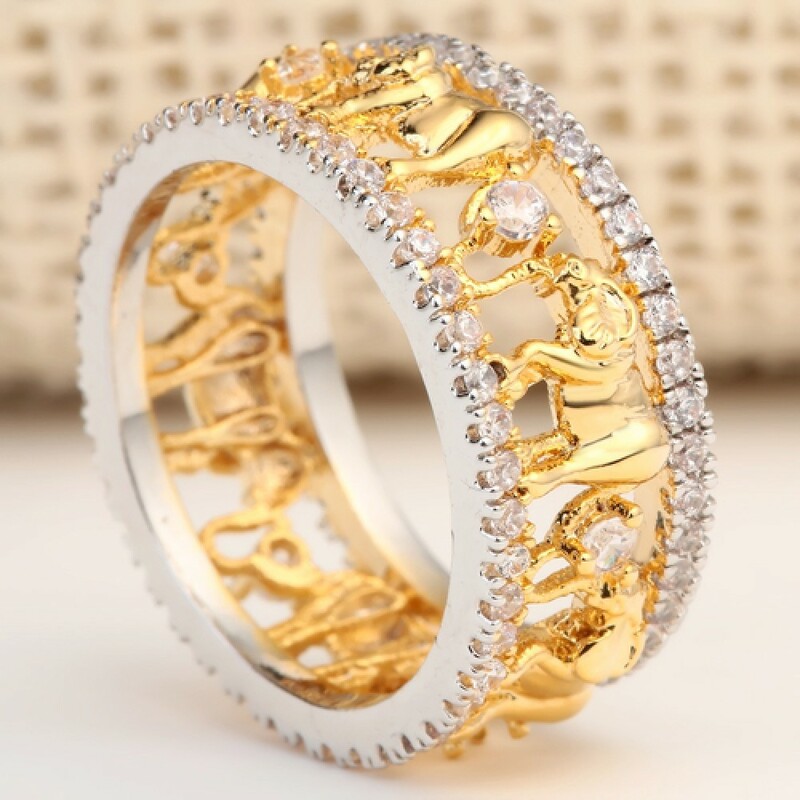 This Stunning Elephant Crystal Band is a great piece for not only animal lovers but also for a unique piece to add to a collection. 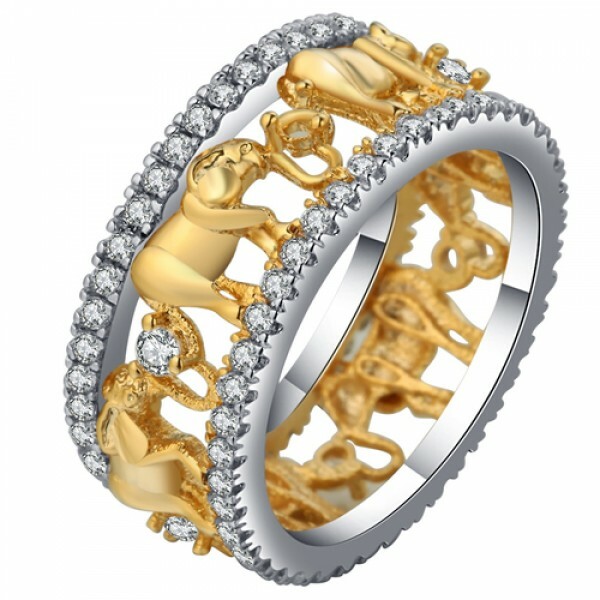 This ring is set with centre elephants with crystal trunks set in a secure band setting filled with crystals and is is Rhodium Plated with a silver & gold tone finish. 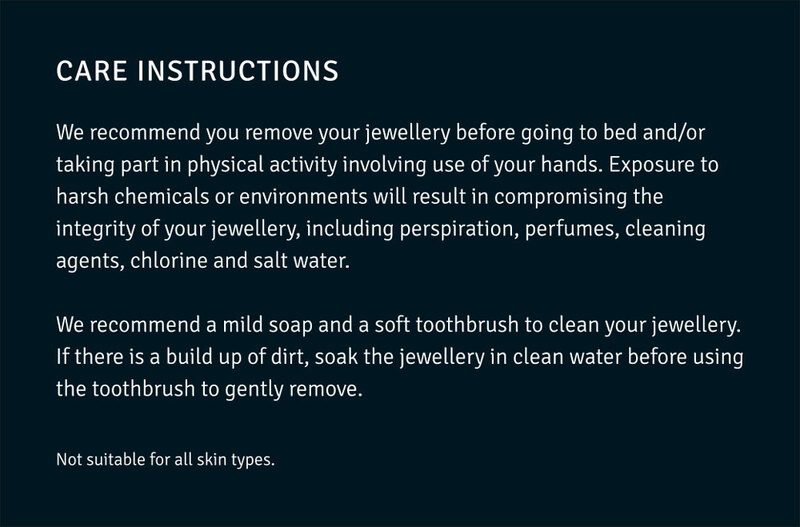 Available in 4 ring sizes and benefits from its very own Luxury Gifting Ring Box.